Standards of Training, Certification and Watchkeeping (STCW) 95 is the entry-level credential necessary to begin a fulfilling career on the high seas. This credential is internationally recognized by the International Maritime Organization (IMO) and the United States Coast Guard National Maritime Center. For more information about STCW 95, please see the most recent US Coast Guard NVIC 08-14. When taken together, the program of instruction provides the prospective mariner with their STCW 95 credential. Our objective is to provide the highest quality training available. 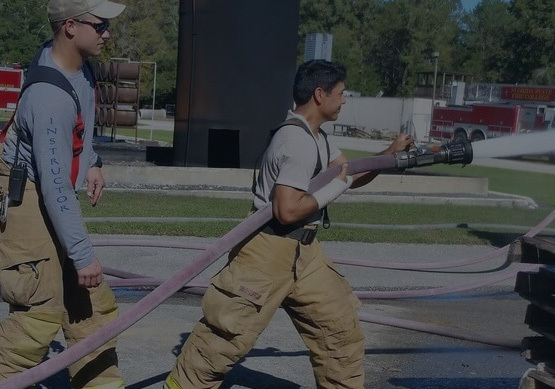 Our expert trainers and training facility, located on the campus of the Florida State Fire College, provides students with an exceptional and distraction-free learning atmosphere. Our training facility provides the entirety of student needs in one convenient location. We offer comfortable lodging on the campus, modern classrooms, Wi-Fi learning center, and an extraordinary dining facility that is operated by an outstanding local restaurant.